Non-partisan watchdog group American Oversight today sued the Department of Defense (DOD) in federal court to determine if President Trump was telling the truth when he claimed on Twitter that “generals” had advised him to ban transgender individuals from serving in the armed forces. 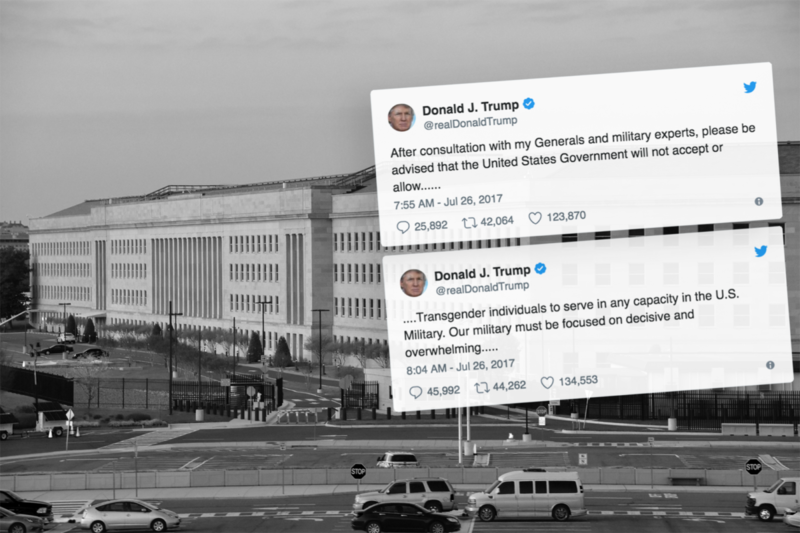 On July 26, President Trump announced his decision to ban transgender men and women from service in the U.S. military in a series of early morning tweets, claiming that the decision had followed, “consultation with my generals and military experts.” Following the president’s announcement, the DOD provided written guidance supporting his directive in late August. On July 28 and again on October 31, American Oversight submitted Freedom of Information Act (FOIA) requests to nine component offices and agencies of the DOD. The FOIA requests seek any analysis or recommendation provided by senior DOD officials and officers to the White House prior to the president’s announcement. Only the Secretary of the Army provided a response to American Oversight’s initial FOIA request, stating that it had no records of any such advice given to the president. No other DOD agencies or offices have responded as required by law, so American Oversight filed suit today in the U.S. District Court for the District of Columbia to compel the release of any responsive documents. This is not the first time American Oversight has gone to court to fact check the president’s outlandish tweets. In September, American Oversight forced the Justice Department to admit that there was no evidence of any wiretapping of Trump Tower, disproving the president’s tweeted allegation that he had been “wiretapped” by former-President Obama. Click HERE to read more about American Oversight’s investigation into the transgender military ban.